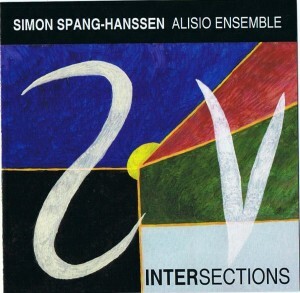 Simon Spang-Hanssen , soprano & alto-saxophones, flute, compositions. on several occasions Alisio Ensemble has invited choreographer/dancer Barthelot Ekeme Samé (Cameroun) to perform on chosen pieces. Alisio Ensemble is the continuation of ”Maaneklar ” ,which first started out in 1996 in Paris as a quintet: flute, saxophones, bass and two percussionists. 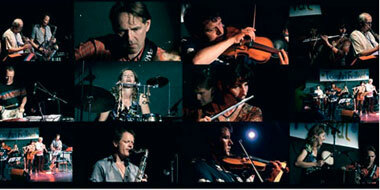 Some of the original members were Richard Bona, Francois Moutin and Xavier Desandre; upon the leaders return to Denmark in 1998 the line-up was more steady an included Mariane Bitran, Peter Danstrup, Jacob Andersen and tabla-player Ole Theill . This new octet-version is a development in which the general sound picture is enlarged while still keeping a special timbral universe, very focused on melody/rhythm/polyphonics and containing references to all kinds of musical cultures: Brazil, Turkey, India, West-Africa…modern western music (Bartok, Ravel…), jazz (Shorter, Ellington, Gil Evans, George Russel…); the special instrumentation of the ensemble seems to allow all of these to flow together easily and creates some unusual color-combinations…. “On “Wondering”, saxophonist Simon Spang-Hanssen with his group “Maaneklar” parralel Denmark’s beloved “New Jungle Orchestra” with the incorporation of cross-cultural rhythmic elements along with, East meets West slants and motives. ”One clearly senses the incessant presence and the inner glow whenever saxophonist Simon Spang-Hanssen is on stage..-there was certainly no idleness to be traced on this evening when he was leading his group ”Maaneklar”.The subject was a new and original perception of jazz, which, to a certain degree – and this very tastefully – had assimilated rhythms and melodies from all kinds of– and primarily eastern – folk-music.